« Who ‘NEEDS’ a gun anyway? Didnt take you long XD, youre good ffs. Which scope did you use? Do you think M98B is range limited to 1000m, cause I got 971m headshot and cant seem to reach any further. Yup, I seem to end up on that map all the time. I would really like more time on Kharg Island or Op Firestorm because both of those maps offer great sniping as well. However, Caspian border is probably my favorite all around map. Yeah caspian border is my favourite too, but i have got my best scores on op firestorm and for 400-600 meters shooting khargi is definately the best. 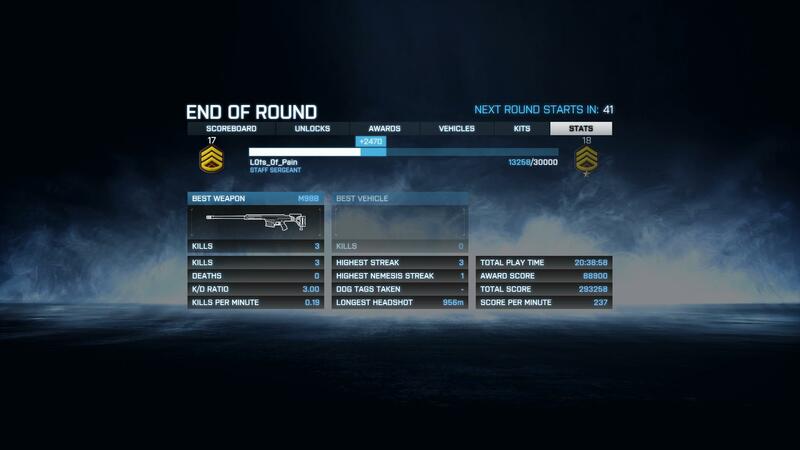 Btw are you planning on doing sniper school for bf3.